The iPad is a tablet computer made by Apple, controlled by a multi-touch display sensitive to fingertips. Compliment to BishopNet Wireless : The iPad can be used outdoors and indoors, accessing all course content from any Bishop net access point. Students can also fact-check and receive real-time news updates that may be pertinent to the class. Would you like to Use a Stylus for Handwriting? If you’d like to use a stylus with your iPad there are several to choose from. Fortunately, MacWorld has reviewed several. The Wacom Bamboo is highly recommended for handwriting. There are many apps that accept this type of input. Please note: with hundreds of new apps released every day, such lists as provided below are quickly out of date. Turn your iPad into a wireless whiteboard! Annotate PDF documents and images live. This app reproduces the iPad screen in any web browser, which can then be projected for a class to view. Finally, combine notes with to-dos in one app! Awesome Note is an innovative note-taking application and to-do manager that allows you to combine notes with to-do flexibility. CourseNotes lets you take notes during your classes and organize them by subject and class meeting. Review your notes later and search through multiple class meetings and notes all at once. Docs to Go –Office Suite supports the viewing and editing of Word, Excel files (office ‘07/’08/’10), and viewing PowerPoint, PDF, and iWorks documents, and also sending/receiving attachments in MS Exchange & Gmail. eClicker is a personal response system that allows teachers to poll their class during a lesson. It provides teachers with the real-time feedback they need to be sure their messages are being received. HootSuite is a social media tool for Twitter and Facebook, with built-in translation capabilities to/from over 50 languages. iAnnotate is a PDF reader and annotation tool. It allows you to open documents from email, sign and send out contracts, enter notes for edits, sketch diagrams, copy text, and add highlights or underline with the drag of a finger! Kana LS Touch is a program for iPhone/iPod Touch & iPad for learning Hiragana and Katakana. LS stands for Learning Software. It utilizes the unique touch interface to intuitively teach you how to draw the Hiragana and Katakana characters by displaying strokeorder guidelines. Keynote is the most powerful presentation app ever designed for a mobile device (according to Apple.) This is roughly equivalent to Microsoft PowerPoint and works with PowerPoint files. Math Ref contains over 1,400 formulas, figures, and examples to help with math, physics, and more! It also includes tools such as a unit converter, quadratic solver, and more! Take notes, draw sketches and record audio. Easily share your notes, drawings and recordings with everyone. Notes and drawings are sent as PDF documents, audio recordings are send in standard Wav format. The most beautiful note taking app ever designed for the iPad (according to Ramki.) Noteshelf is the handwriting note taker that features super natural digital ink, a stunning UI and a comprehensive toolset that will increase the benefits of owning an iPad by leaps and bounds. Numbers is the most innovative spreadsheet app ever designed for a mobile device (according to Apple.) This is roughly equivalent to Microsoft Excel and works with Excel files. Pages is the most beautiful word processing app ever designed for a mobile device (according to Apple. )This is roughly equivalent to Microsoft Word and works with Word files. ReaddleDocs is all-in-one document viewer and file manager for iPad. Сatch documents from PC and Mac computers, web sites, email attachments, iDisk, Dropbox and other online file storages and even iPhones. All files are saved to your iPad locally so you can enjoy reading them anywhere! Penultimate gives you the fast, tactile gratification of writing on paper, with digital power and flexibility. Take notes, keep sketches, or share your next breakthrough idea — in the office, on the go, or home on the sofa. A Signed English Translator, this is the only app that provides sign language instruction in 3D. SoundNote (formerly SoundPaper) is the best way to take notes in meetings, lectures, and interviews. It tracks what you type and draw while recording audio, so you’ll never worry about missing an important detail. During playback, just tap a word: SoundNote will jump right to that time in the audio. Award winning Star Walk enables you to point your iPhone, iPod Touch, or iPad 2 at the sky and see what stars, constellations, and satellites you are looking at in real-time. Get an ad-free version of the Dictionary.com app for purchase. Use Dropbox to sync and share your files online and over multiple computers or devices. Evernote creates text, photo and audio notes. All notes include geo-location information for mapping and search, along with other helpful features. Then it allows you to access your notes from any device or web browser. GoSkyWatch Planetarium now for the iPad. Easily and quickly identify and locate stars, planets, constellations and more with a touch or by simply pointing to the sky. Have fun with family and friends discovering the images in the night sky. Go outside and explore the night sky. Download and read books. iBooks includes the iBookstore. A collaborative whiteboard app. If up to four of your colleagues have the separate iBrainstorm Companion app on their iPhone or iPod touch, they all can contribute to the iPad whiteboard via a wireless connection. Inkling is a platform for interactive textbooks, built from the ground up for iPad. It turns paper-based textbooks books into engaging, interactive learning experiences while staying compatible with the print book for classroom use. The Financial Times award-winning iPad Edition provides instant access to FT’s global news, video, comment and analysis, optimized for the iPad. * requires FT.com registration and subscription for unlimited use. 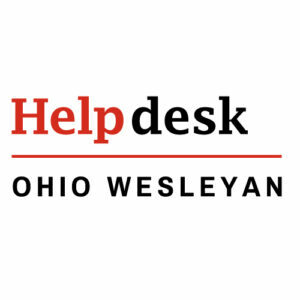 Maps, Places, Courses, Library, Events, Directory, Athletics, Videos, Images, Giving, Alumni, and more — Everything you wish and need to know about Ohio Wesleyan University literally at your fingertips. Your personal library of Science, and winner of the Apple Design Award for best Mac OS X scientific computing solution, Papers puts your entire research literature database in your pocket, available at your fingertips wherever you go. Popplet is the best app for sharing visual ideas. Popplet can be used for many things in your personal, professional and educational lives: including creating photo galleries, recording notes or lists, and much more. With Sugarsync, you can access and sync files, photos, and music from all your computers, iphones, or iPod Touch. SugarSync opens cloud-synced files in a local document editor for editing and local saving. Now a universal app for both iPad & iPhone, Twitterrific is the friendly, award-winning Twitter client that’s beautiful to look at, easy to use, and full of elegant features. Effortlessly read and compose tweets, search Twitter.com, filter message types and much more. Here are some OWU photos and videos that you can present to your friends, family and co-workers by taking advantage of the iPad’s superb video and display quality. For additional images, videos and more, download the OWU Mobile app. Having a missing device can be a huge worry. Fortunately, the following apps can help to recover a lost or stolen iPhone, iPod, or iPad. This is a free app for anyone with an iPhone 4, iPad, or 4th generation iPod touch (iOS 4.2 required). It also enables you to locate your iPad Wi-Fi or iPod touch only when it is on and connected to a registered Wi-Fi network. If you lose your iPhone, iPad, or iPod touch while on the go, simply install the Find My iPhone app on another iOS device, launch it, and sign in with your Apple ID (Find My iPhone must already be configured on the missing device). You’ll see your device’s location on a map and you can choose to have it display a message or play a sound, remotely lock the device, or wipe it to permanently delete all of your data if you think that it won’t be returned. Undercover can help you locate any lost or stolen iPhone or iPod.You will need to register, then you will receive your own Undercover web account. Every time the Undercover application is launched, the phone’s location and IP information is stored in your web account. You can then login to your account to track the device. The latest version allows you to remotely launch Undercover on the stolen iPhone in order to track the thief’s location. Undercover also comes in handy when you have lost your iPhone: as soon as you set a message for the finder, the phone will ring and Undercover will display the alert on top of any application that might be running. When the finder views the message, Undercover will transmit your phone’s location.